Does Sococo integrate with any tools? While Sococo has all of the chat and video conferencing functionality you’ll need, we understand that some companies rely on tools like Slack, Zoom, and Google Hangouts. That is why we fully integrate with Slack, so you can send and receive Slack messages without clicking out of your Sococo Workspace. 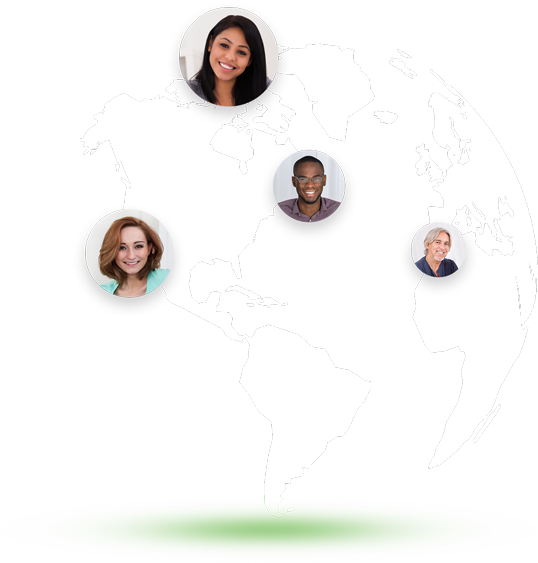 We are also compatible with video conferencing tools like Skype, GoToMeeting, Google Hangouts, Zoom, and more–you can launch a meeting on any of these platforms directly from Sococo. What is needed to come to work in Sococo? 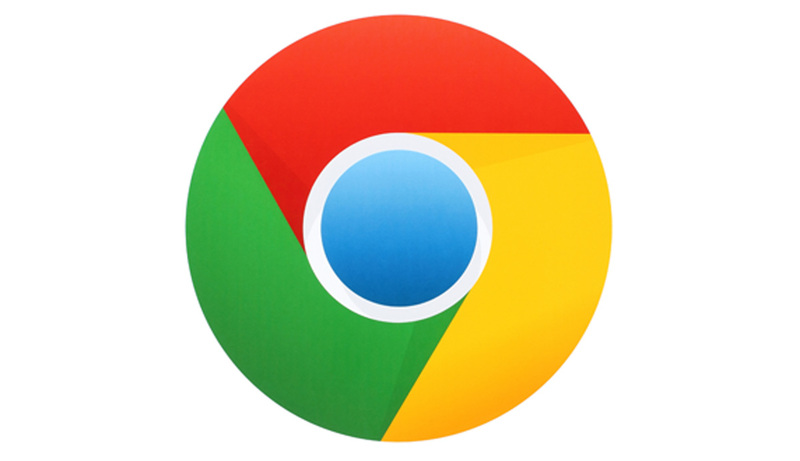 All you need to come to work in your Sococo workspace is an internet connection and an up-to-date Chrome web browser. You can also click here to download our desktop app (available for Mac OSX, Windows, and Linux) or our mobile app to take your team with you when you’re on the go. Can I invite guests into my Sococo Workspace? Bring clients, collaborators, or consultants into your Sococo space at the touch of a button. Guest links are shareable invitations to Sococo that allow your guest limited access to your online Workspace. That way you can get all the perks of holding a meeting in Sococo without having to add another team member to your space. How can I connect with my team in Sococo? 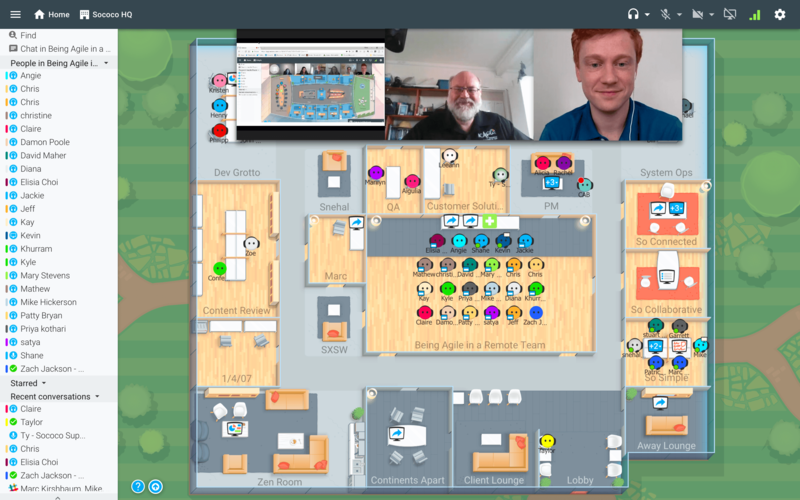 Coming to work in Sococo allows you to work alongside your team as if you were physically in the room. You can see where your teammates are, if they’re in a meeting or if they’re available for chat with one glance at the map. Pull them into a room and toggle on your in-room video and audio conferencing to talk through projects face-to-face, or send a chat message to an individual teammate or the whole Sococo room. How much does a Sococo Workspace cost? Sococo pricing is custom and based on the number of colleagues you bring to work in your space. 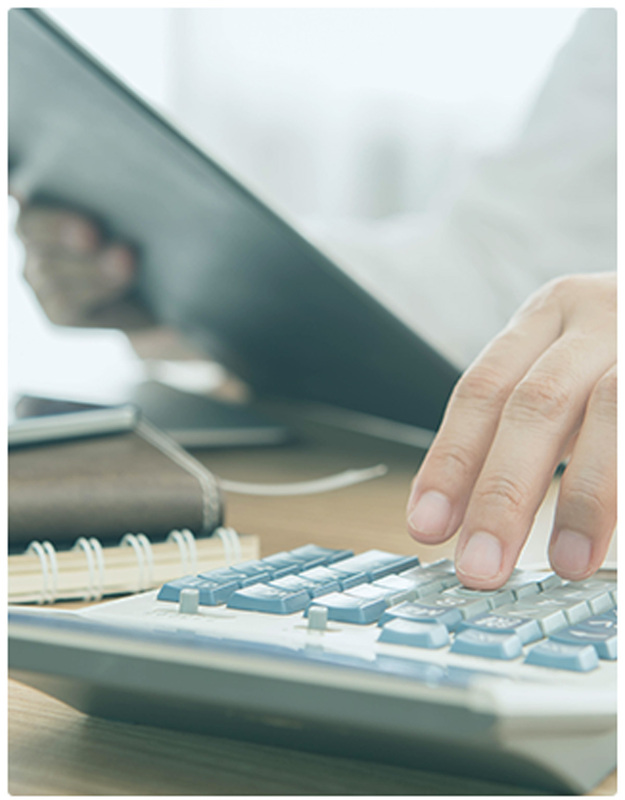 Click here for more detailed pricing information. How is Sococo different from other solutions like Skype, Zoom, Slack, and others? Video conferencing and chat solutions may allow you to communicate with your teammates, but they don’t allow you to connect. Communication via these tools is often asynchronous, overly structured, and formal, whereas working side-by-side in your online Sococo workspace allows you to collaborate in real time, hold ad-hoc meetings, and get to know the people you work with around the virtual water cooler. When you work in Sococo, you don’t just communicate; you work together. Can I come to work in Sococo from anywhere? Yes! You can come to work in Sococo from anywhere in the world, as long as you have a Wi-Fi connection. Whether you’re in Bali or Baltimore, you can jump into a breakout room with anyone on your team. How many teammates can I bring to work in Sococo? You can bring as many teammates to work in your Sococo online Workspace as you’d like. 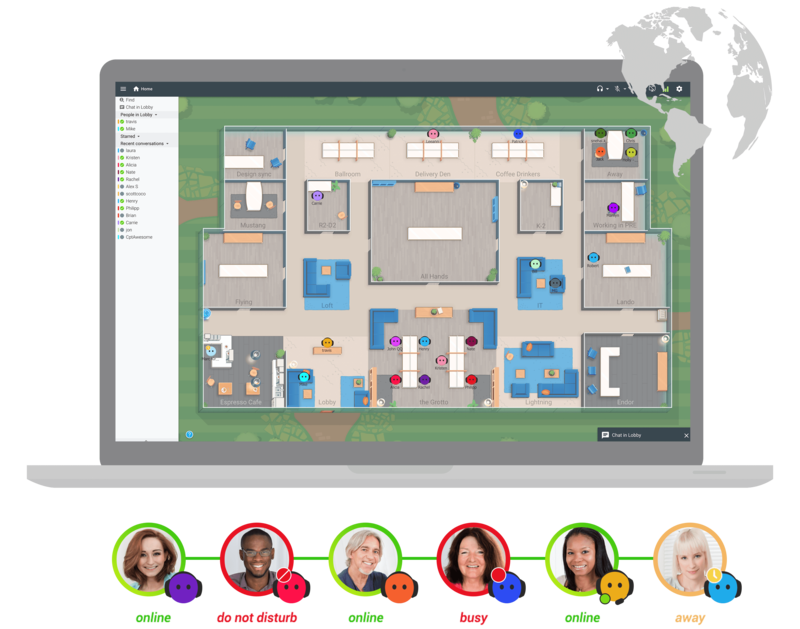 We have a variety of online office maps available with different room capacities, so you can build one workspace or an entire virtual building to make room for everyone on your team. What office tools will I need when I bring my team to work in Sococo? None! 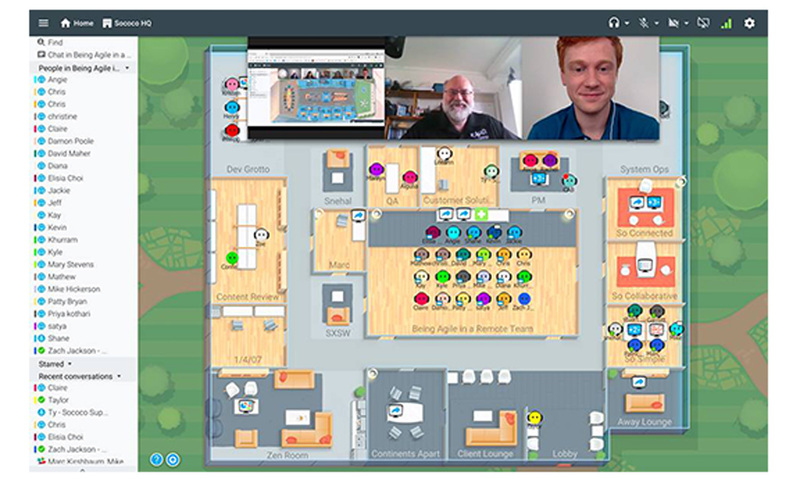 Coming to work in Sococo allows you instant access to everything you’ll need to get work done–including video and audio conferencing options, chat, and at-a-glance insight into what’s happening in your organization–all while allowing you to truly work side-by-side with your remote team. You can finally close all of those browser tabs! Do I have to be working remotely to come to work in Sococo?